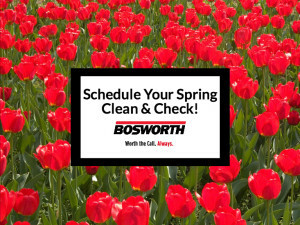 The Bosworth Company is one of the premier plumbing & air conditioning companies in Midland, TX, with additional locations in Kerrville and Odessa serving all of West Texas. We offer all the air conditioning and plumbing services you need to get your home ready for spring. Long, cold winters can leave the plumbing in your home in less-than-perfect condition. You’ll want to be sure your water heater is still running properly, and you might have clogs building up in your drains as well that should be taken care of as part of your spring cleaning. The Bosworth Company is one of the best plumbing companies in Midland and West Texas. Licensed, highly-experienced plumbers perform all of our plumbing services. At The Bosworth Company, no job is too big or too small. We’re available 24/7 to assist with any problems you may be experiencing in your home. To learn more or schedule a service call today at (432) 570-5233 or click here.